Thornhill Heights Triple garage 2 storey & fully finished bsmt with suite, on 7763 sqft cul-de-sac lot. 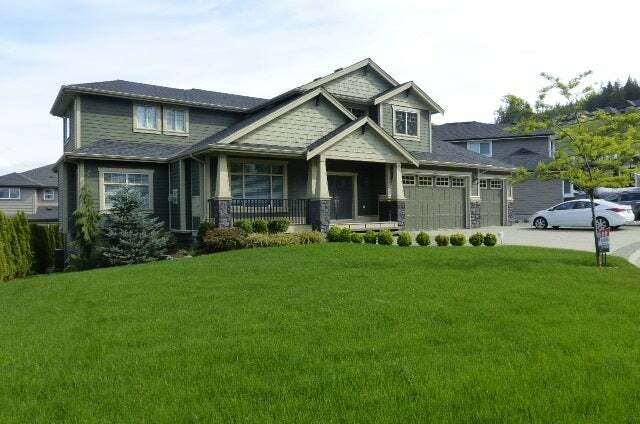 Features 6 bdrms, 4 bathrms, 2 kitchens with engineered hardwood on main flr with gas fireplace. Upper maple kitchen with tile backsplash, granite countertops including island, gas range, ice & water in stainless steel fridge, suite white kitchen with island, four bdrms up with master walk-in closet, ensuite soaker tub with separate frameless glass shower, double sinks with granite counter top. Covered sundeck, large yrd, 2 laundries and more.